If space considerations are your primary concern, you can incorporate a Murphy bed into a whole room or apartment organization system. 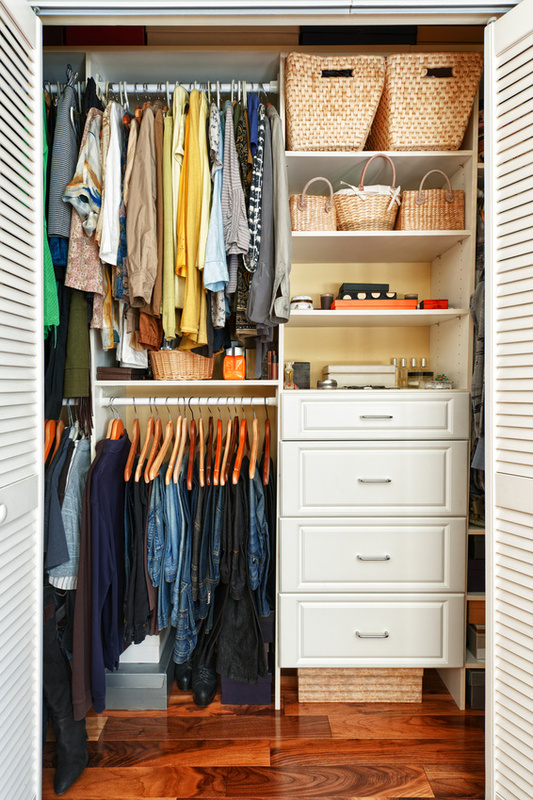 By using other closet systems, you can scale up your storage efficiency room by room. This may be especially of interest to those that are drawn to minimalist styles or simple living. As big city apartment sizes seem to shrink, you can get multiple living spaces out of one room with some creativity and a Murphy bed. What was once a crowded studio apartment can transform into an orderly living room with the simple flick of your Murphy bed. Some of the more modern Murphy bed designs may feature some automation to assist with the transformation. Ha! I cannot help thinking about some 3 stooges episode where someone is inevitably folded into the bed, but I would love to have the functionality. Some of the more modern designs are quite sophisticated and can disguise the bed very well. Plus they fit in with my style too.